Cats might be a lot of things – but being a great communicator certainly isn’t one of them. It means that on the odd occasion that sickness does take over, there’s a lot of head scratching as to what the problem may actually be. Particularly when it comes to sickness and diarrhea, things get even more difficult. There’s a fine line between keeping their strength up, yet not worsening the sickness that is blighting their tummy. 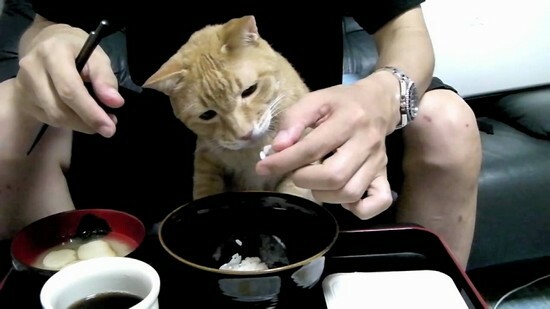 With cats also not regarded as the most co-operative of animals when it comes to different food which doesn’t usually consume their bowl, things get a whole lot harder. However, there are ways to ensure that your cat can tick all of the above boxes and get over his sickness troubles in good time. 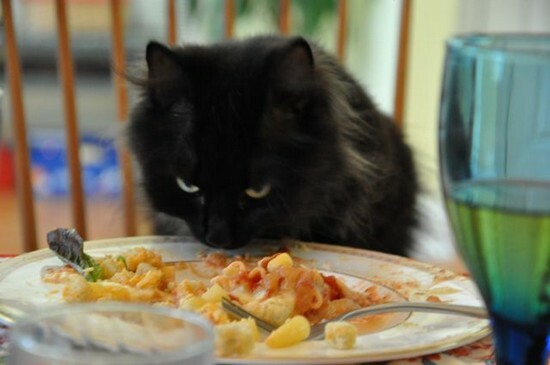 It might take a little work on your end, and there might be some trial and error involved as to what new foods that your cat actually likes, but you can put together some dishes which are perfect in their time of need. We’ve picked out the following five to get you started. While cats and dogs differ with most things, when it comes to a traditional dish for sick pets they most certainly don’t. 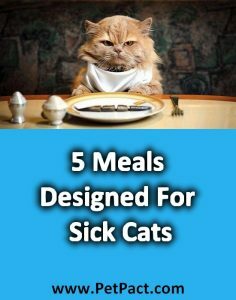 Chicken and rice has been known as a savior for sick cats and if you are looking to balance out their tummy somewhat, this can be the perfect meal. Let’s point out that the big advantage that chicken and rice has is that it’s bland, yet still contains sufficient nutrients and calories to ease your feline friend back to strength. On the subject of the blandness, don’t give in to “those eyes” demanding a little more flavor in their meal. Again, bland is the key here and you just have to leave out all forms of seasoning if you’re serious about your cat’s stomach being built back up to its former glory. If the above hasn’t worked in terms of taste, it might be time to try a somewhat different approach. Chicken and rice might be regarded as the standard meal when it comes to your recovering cat’s stomach, but there are substitutes for these ingredients which can still prompt positive effects according to other cat owners. We’re now talking about pasta and burger mince. While the two ingredients are different, they do contain similar properties to chicken and rice. If you are going down this route, make sure that you boil the mince rather than frying it. This is because you can boil the fat away – with this being something that can irritate a cat’s stomach in a flash. Cook the two foods before mixing together and serving when cooled. If your cat still isn’t satisfied with the taste, it might be time to ditch chicken in this form for good. This is when one of our other suggestions steps into play. If neither of the above options are working, it’s clear that the approach needs tinkering with substantially. When we, as humans, are ill many of us turn to a liquid-based diet. The same rules can apply to cats and particularly with chicken soup, you can continue to flood many important nutrients to their stomach whilst calming it at the same time. 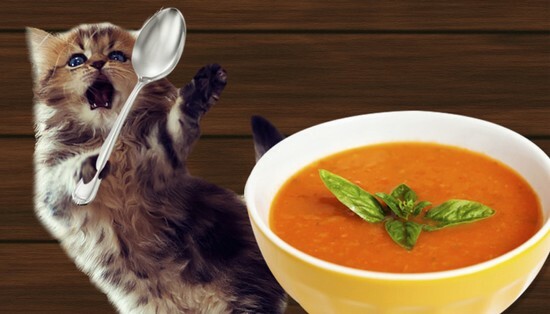 While there are many chicken soup recipes out there for cats, a favorite of ours is the following. Take 1/4 cup of chicken broth and 1/2 teaspoon of powdered brewer’s yeast and combine. If you want to plough even more goodness to your kitty, some sources suggest adding ascorbic acid crystals and digestive enzymes to speed up the process. In relation to the chicken broth, you’ll need to start with a couple of pounds of boiled chicken. Cover this with water, before proceeding to add a 1/4 cup of tomato juice and simmer. This process will take several hours before you can start to extract the bones and store the liquid for future use. In relation to the bones, it is essential that these are removed as they can pose a huge risk to your cat internally if they are swallowed. They can splinter and from that point all sorts of problems can spill. It goes without saying that you should only be aiming to serve small portions of this to your cat, while make sure that it has cooled down before dishing up as well. Additionally, this simply has to be a short term solution. While chicken is fine for your cat in moderation, it doesn’t provide every one of the essential nutrients that they require. This next suggestion may raise a few eyebrows, but there are countless testimonials out there which suggest that it works an absolute treat. Our suggestion (drum roll ahoy) is that you feed your cat baby food. 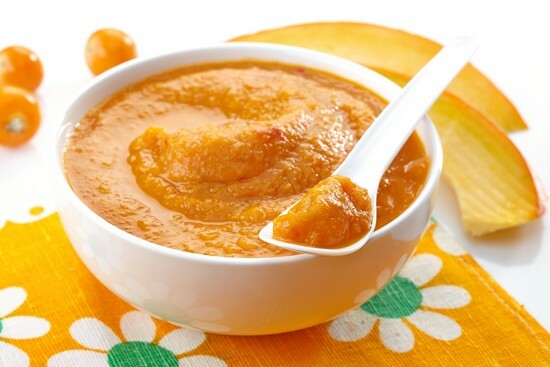 Not just any old baby food – human baby food. The reasoning behind this is quite straightforward. This type of food has been manufactured in the simplest way possible, as baby’s stomachs are not able to handle the wild concoctions of food that fully-grown adults consume. 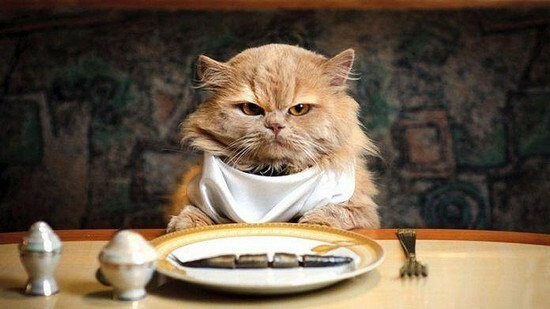 Therefore, it’s food which isn’t going to irritate your cat’s stomach – and that’s exactly what you want. We should exercise several words of caution here though. It goes without saying that this food hasn’t hit the shelves with the intention of being bought for feline consumption. It means that you have to cipher through the ingredients and find out if it is suitable. We should remind you that a lot of baby food is flavored by onions and as we all know, members of the onion family should never be included in a cat diet. Again, this isn’t a long-term solution but rather something that should work well while your cat recovers. Baby food also doesn’t contain one of the most important ingredients cats need, taurine, so this is why you should again be looking to return to the normal diet as quickly as possible. If you’ve already visited the vet, there’s a reasonable chance that you have been given prescription food to help your cat through this period. While this is unquestionably going to do your cat’s stomach wonders – this is only going to happen if they actually eat it. Most of the time, this prescription food is hardly desirable and they won’t have any intention of going anywhere near it. As we’ve already addressed, seasoning is still out of the question here. This will simply wreak even more havoc in the stomach, and make the problem go on for longer. Instead, you need to think outside the box and water from drained tuna cans could fit the bill rather nicely. We should issue a word of caution here – make sure you do not feed the actual tuna as this is something that can prove to be bad for them in larger quantities. Instead, only pour the water from the can in – this will leave the prescription food with a much more appealing flavor and hopefully allow your cat to get on board with their temporary diet. In all cases; prevention is always the better choice. Check out : 5 Crucial Ways to Keep Your Cat Healthy.